Are you getting ready to embark on purchasing a new home? Or maybe you already have a home and you’re looking at ways to unlock its existing equity. Either way, acquiring a home mortgage has both its perks and challenges as well. The main thing is understanding what the different loan types are and exactly how they can benefit you. Qualifying and accessing funds is also important. Here are just a few ways to determine what home mortgage type may be the best for you. 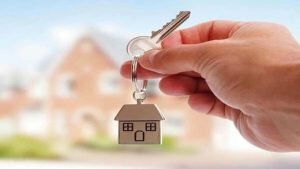 Once you’ve decided you want to purchase your first home or another home, you’ll have to decide if you want to go for a loan funded by the federal government or your local banking institution. Both have benefits and drawbacks. When using federal government money, sometimes there are certain restrictions. You may have to have private mortgage insurance on the loan for the first few years to secure the risk of default. Government loans are limited on funding, but the main perk is that they benefit low-income people and first-time home buyers. Credit terms are lax in comparison to most conventional loans through banks and mortgage companies. With a conventional mortgage, you’ll most likely have to have excellent credit and a significant down payment of at least 10 percent or more, depending on the lenders, like Eagle Home Mortgage and their own credit criteria. Make sure you know your credit score before applying. The higher your score- the more likely you’ll get final approval through underwriting. Reverse Mortgage Or Second Mortgage? Do you already own a home with a lot of equity and you really want to tap into the money for retirement or to pay off debt? Two things that may benefit you are a second mortgage or possible a reverse mortgage. Both allow you to access cash from your home’s equity. So it’s good that you’ve either made improvements over the years to your home and have it paid off or almost paid off. A second mortgage allows you to get the funds you need to pay off bills or use it for whatever you wish. The cons are that you need to pay off the loan, and you may lose equity while the loan is still outstanding. With a reverse mortgage, the main caveat is that you have to be a specific age, typically over 55 and you need to have significant equity in the home. The cons are that you lose ownership of the home and will be unable to use it as a future investment. Getting your home appraised and finding out your pay off balance are important things to do prior to applying for either type of loan. Most home loans vary in their terms and requirements, but one thing that is always prevalent is the interest rate. The goal is to acquire a loan that has low interest, so you’re paying more on the principle over the course of the loan period. Some lenders entice applicants with an adjustable rate mortgage. This starts off low and makes the initial payments low, but as the market fluctuates, so can your payment. This can be a gamble, especially if you’re on a fixed income. Before applying, gather proof of your income and bank statements. This will make the application process faster. Once you’ve decided on what type of loan you want, you can then decide how quickly you’ll want to pay it off. Its common sense to know that the quicker that you pay off a loan, the less interest overall you’ll have to pay. Most home mortgages have a 30-year term. This keeps the monthly payment low and gives the homeowner plenty of time to pay off the principle. If you opt for a 15-year term, your payment will be double, but the benefit is that your interest rate might be lower. It depends on what your FICO score is and what the exact specifications of the loan are. Another option to save money without risking a high monthly loan payment each month is to make double payments or apply additional funds to the principle of your loan as often as you can. For example, if you get a bonus at work or have extra money left over in savings one month, apply this amount to the principal of your loan. You’ll have to call your mortgage company and specify that you want the funds allocated this way or it may be applied to escrow or be held in a separate short-term account. No matter what you decide, know the facts before you finalize your mortgage documents. Talk to your lender, who will be able to help you make the final decision on one of your biggest investments.